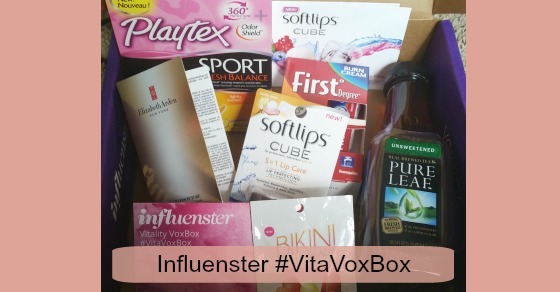 I was lucky enough to be chosen again to receive a VoxBox from Influenster. If you have not signed up with them yet and like to review products for free, what are you waiting for?? Just go to Influenster.com to get signed up. The more active you are with them, the more products that you will receive. This is actually a pretty good box for me. I am drinking the Pure Leaf Iced Tea right now and really like it because it is unsweetened and I am trying to cut down on any drinks that contain sugar or artificial sweeteners. I can’t use the Playtex Sport that comes with the best epilator because I don’t have periods thanks to my IUD (at least not enough to use a tampon for). But my 13-year-old actually began using them a couple of months ago thanks to a sample I got from them. We are VERY careful about her use, but they do come in handy on swimming days and days where she is out of the house and worried about leaking. If only I had the First Degree Advanced Burn Cream a couple of months ago when I spilled the Mac and Cheese. But that will be a story for a separate blog post. With my braces I go through a LOT of different things for my lips. They are always chapped! I have never tried the Softlips Cubes yet, so this should be interesting. Trying something like the Elizabeth Arden FLAWLESS FUTURE serum is tough because you can’t expect to see changes in your skin with just a sample. But I love trying new skin products. It says that it is good for people showing “first signs of aging,” which is definitely me! Lastly, I will definitely be trying the Bikini Ready Energy Gummies. It says that the contain B-12 vitamin to boost your energy plus boost your metabolism. I work out a lot but don’t lose much weight, so these look good. If you want to see my various reviews of the products, be sure to visit back here, follow me on Twitter, and check out my Instagram. I’m “SunshineTricia” on both, so it is easy to find me. I’ll be updating as I make my way through each of them. I'm a pretty ordinary mom who tries to cram a whole lot into my life every single day. I started as an attorney and eventually became a blogger, affiliate marketer, and business owner. My two daughters keep me on my toes by being both completely like me and nothing like me. You can follow me on Twitter @sunshinetricia.